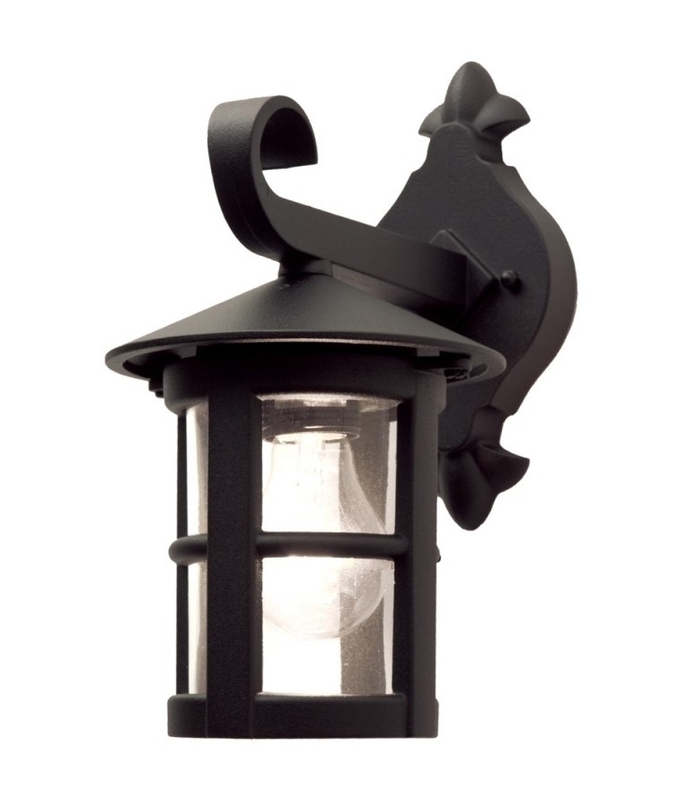 Typically English in appearance, this unique round lantern offers decorative elegance yet functional appeal. This small fitting is ideal for the smaller doorway or property. Use with a decorative long life lamp for extra appeal. Part of a range of products including hanging lantern and alternative wall lights. Fully crafted in die-cast aluminium, these lanterns come with a 5 year anti-corrosion guarantee. IP43 rated, providing protection for water spray. The height of the mounting plate is 205mm and the width of the mounting plate is 100mm.